Yesterday was one of the great Indy Easters weatherwise with sunshine and a glorious high of 72. 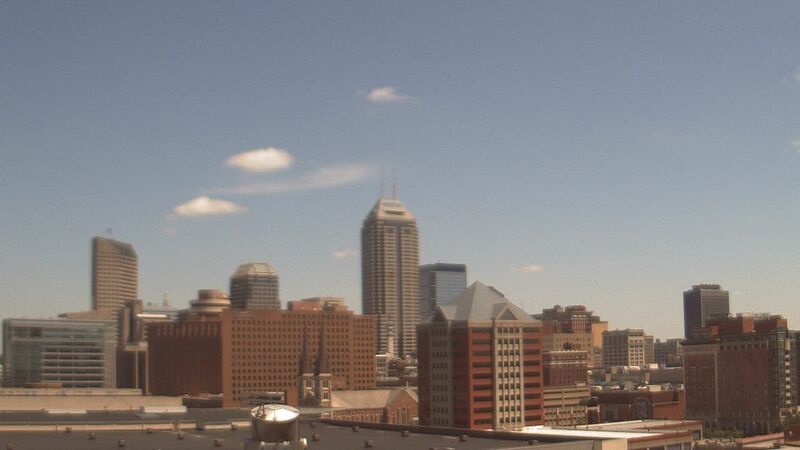 We start today out with temps in the 50s but a gusty wind out of the south and southwest kicks us all the way to 78 later today and an absolutely beautiful day in Indiana. It stays pretty mild Tuesday but a cold front brings chances of showers and thunderstorms beginning late tonight and likely into Tuesday afternoon/evening. We're watching our computer models closely. Right now the boundary stays south of Indy and this would really lower the shower chances around the metro area. The front stalls between Evansville and Louisville Tuesday night so we should be expecting a really nice Wednesday that begins with lows near 40 and highs in the 60s along with lots of beautiful sunshine. Another wave of low pressure Wednesday evening into Thursday may bring a period of rain. Right now Friday and Saturday look good, especially for Saturday's Komen Race For The Cure.